San Francisco may not be known for its "fashion," but make no mistake—it has an abundance of style. Most city dwellers tend to dress for real life—one that probably includes biking or scooting to work or coffee shops, hoofing up hills for meetings and Lyft-ing to happy hour. In other words, practical and versatile clothing (layers are key) just makes sense here…as does flaunting one's individual style. 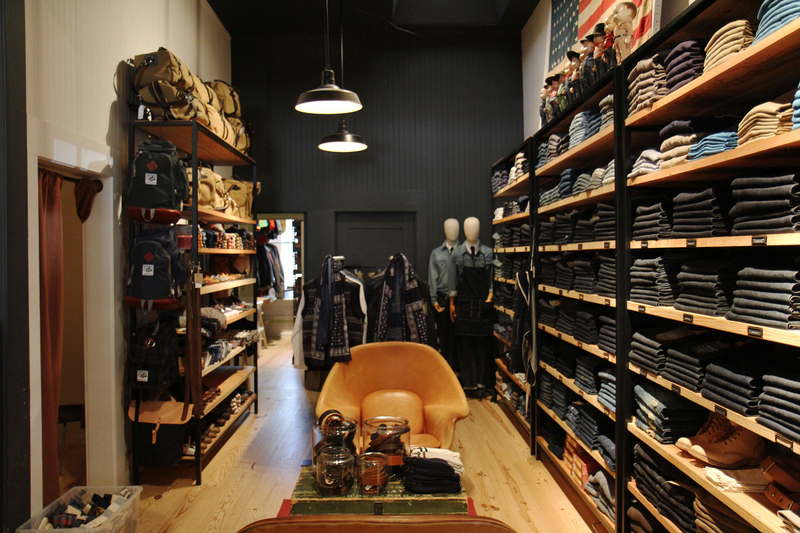 And this is where San Francisco's amazing indie men's and women's clothing boutiques shine. Each has a unique vibe; all have a loyal following. Within their walls, you'll find timeless staples like tees, denim, button-downs and moto jackets, as well as standout dresses, trousers, accessories and outerwear and even beauty supplies. Every shopper is sure to find something to love, and wear again and again. It all started with Michael Preysman's desire to create a great tee shirt in 2010. Fast-forward to today and the founder's SF brand has become a favorite IRL shopping destination where hipsters, moms and dads, creatives, and regular Joes and Janes of every age load up on quality basics. The digitally native retailer brings "radically transparent" pricing (and a neutral-leaning color palette) to life in its 3,000-square-foot flagship. It's clean, bright and airy—not a mannequin in sight. What you will find: expertly folded stacks of denim and cotton tees, beckoning cashmere sweaters, regiments of neatly arranged wrap dresses, and hoodies and sweatshirts lounging on minimalist wood displays. Plus, shoes plenty of shoes (including Day Heels galore). Although long queues are known to pop up, mostly on weekends, Everlane's integrated ID system allows for quick and seamless checkouts. 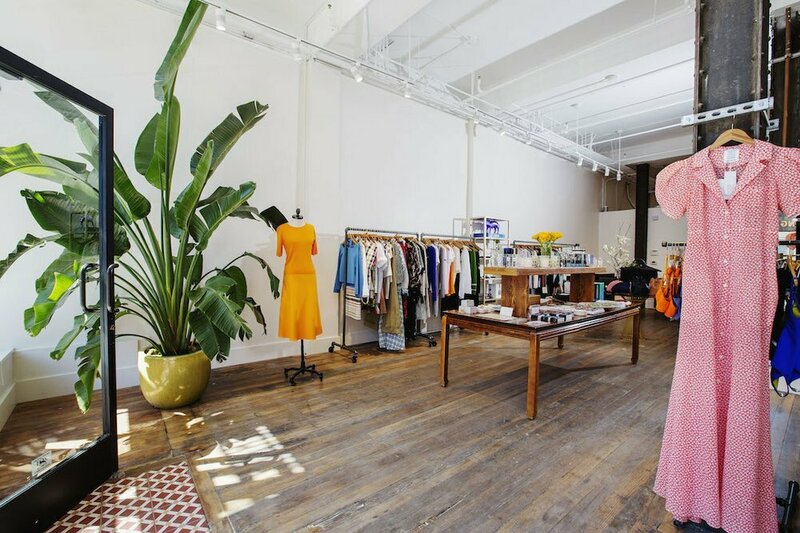 This much-loved San Francisco women's label recently settled into a beautiful permanent storefront, after a merry-go-round of pop-up spots. 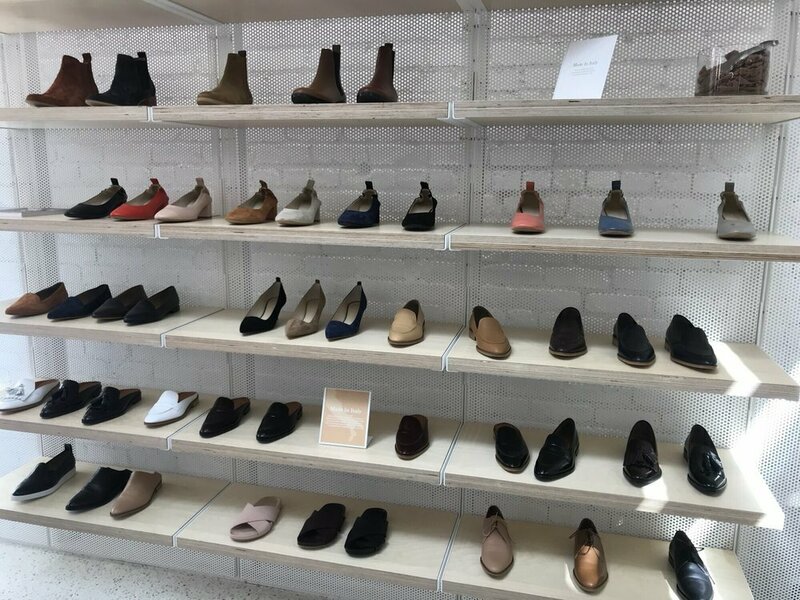 Located on boutique-laden Union Street in Cow Hollow, the e-tailer's only brick-and-mortar is a treasure trove of effortless, unfussy and un-boring staples. Indeed, the combination of sleek silhouettes and interesting details is key to attracting fashionable, professional women—and the reason Modern Citizen routinely draws Zara comparisons. 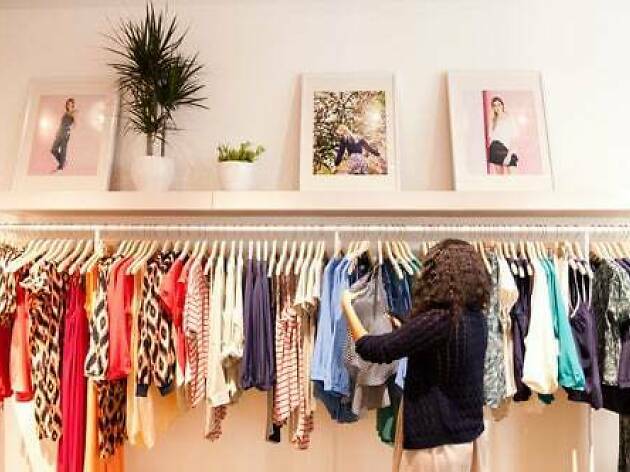 Shopping the uncluttered store is sure to be fruitful for those on the hunt for versatile pieces like LBDs, jumpsuits and blazers, as well as sweaters, bags and small leather goods. A smattering of home and beauty items, and a brilliant selection of jewelry, including MC's signature compass necklace, round out the lineup. 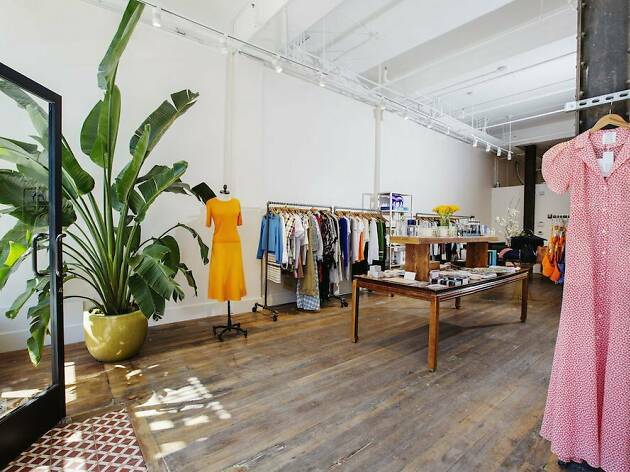 Onetime Vogue editor Emily Holt's young fashion and lifestyle boutique is a beacon in the city's shopping scene. It's probably the only store that regularly draws Pacific Heights mamas and cool Hayes Valley types to its burgeoning Tenderloin hood. 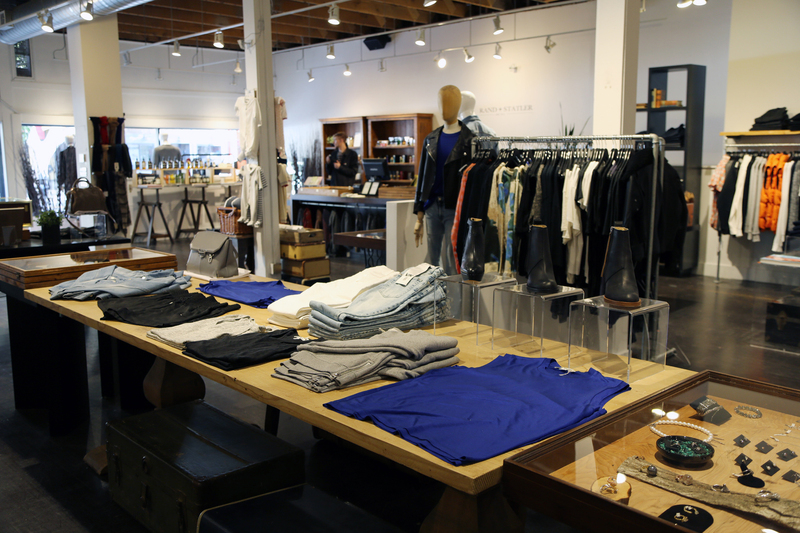 Equal parts industrial-cool and homey, the space carries a mix of women's clothing/accessories and lifestyle goodies. High and low brands, emerging and established labels, plus lots of locals designers are part of the mix, à la Adam Lippes, Tibi, Mother Edie Parker, Saint James, Stevie Howell, Culk, Future Glory and Levi's. Everything is chic. 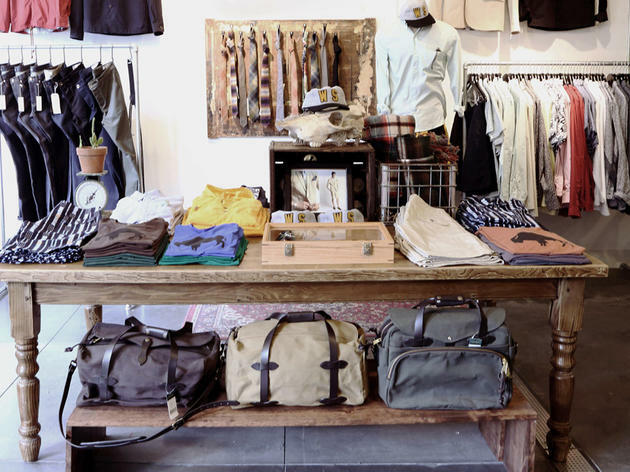 If you need more reasons to visit—the store serves as a general hangout and community space, plus Holt regularly holds interesting events and trunk shows. It's clear she still knows how to work those fashion-editor contacts. No list of top San Francisco boutiques would be complete without this Castro stalwart. For about a decade, it has been a go-to destination for style-conscious guys looking for casual-leaning pieces that are timeless and cool, not trendy. 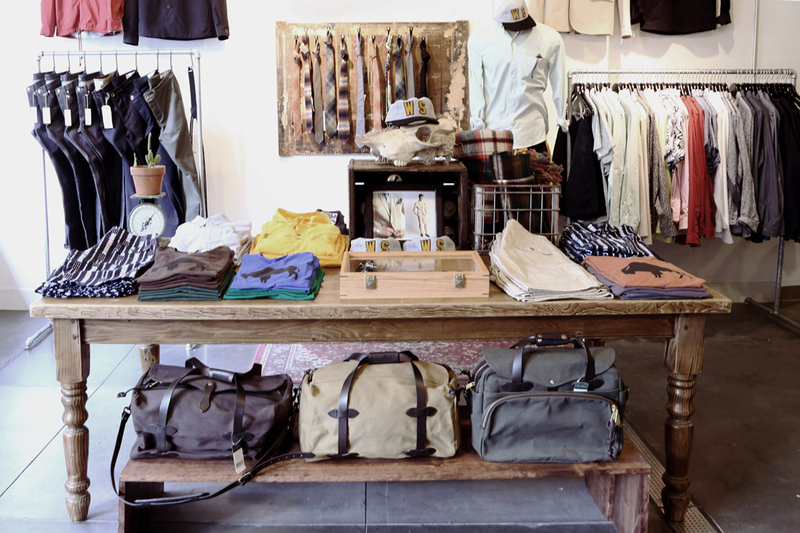 Founder Todd Barket is a stickler for keeping his store stocked with SF wardrobe essentials like plaid and chambray button-downs, jeans, striped tees, sweaters, hoodies, jackets and accessories. The emphasis on brands known for craftsmanship and quality is the special sauce that distinguishes Unionmade from the crowd. Among the labels you'll find in heavy rotation: Golden Bear, Alex Mill, Carharttt Wip, Gitman Vintage, Harley of Scotland, Levi's Made & Crafted and Save Khaki. 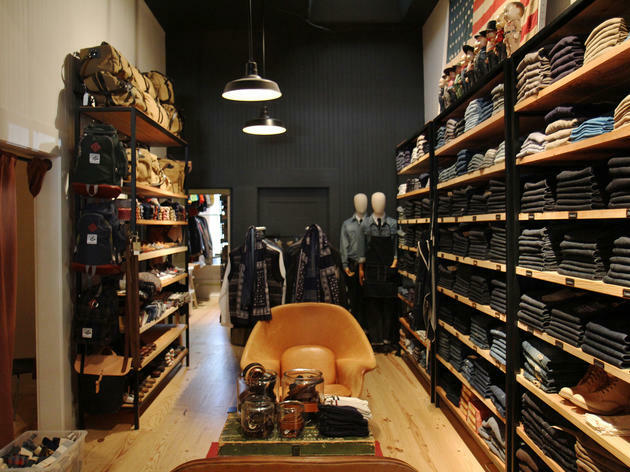 Denimheads have been visiting this bastion of men's and women's jeans for almost 30 years. Situated in its original, still charming, spot in North Beach, loyal shoppers come for the collection of blues, which very few stores could rival. 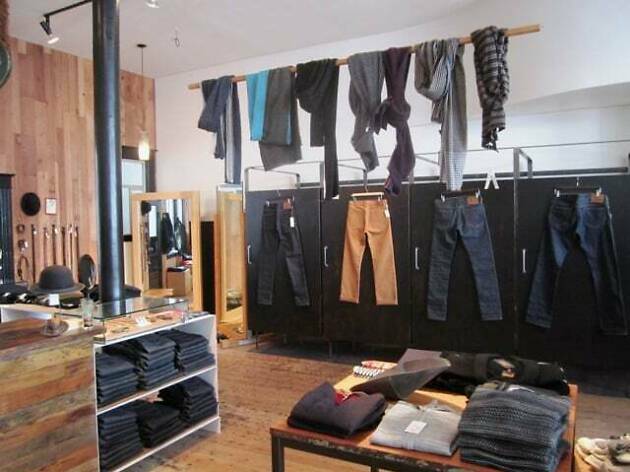 Sure, you'll find familiar-ish labels like A.P.C., Raleigh Denim, Tellason, and DL1961 Premium Denim. But discovering obscure, high-quality brands from around the globe (Matias, Freenote Cloth, C.O.F. Studio and I and Me, etc.) is the really fun part. Along with the crazy-good jeans lineup, AB Fits owes its success to the guy who finds them…owner, denim genius and all-around nice guy Howard Gee. Make sure to check out the store's own AB Fits jeans, which make great souvenirs. P.S. You'll also find a smattering of equally stylish tops, jackets and accessories here. Green love, indeed. 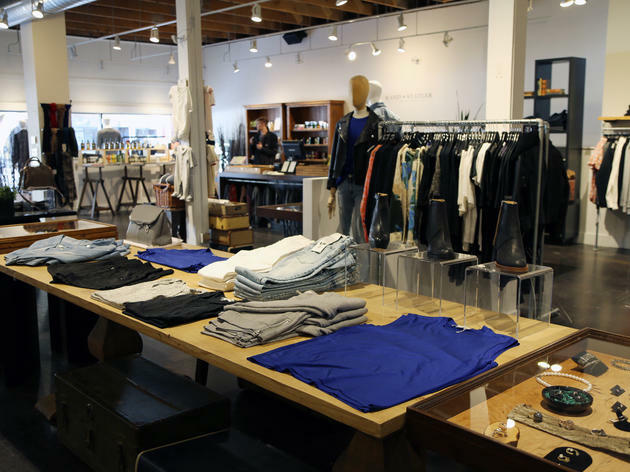 Local ladies can't get enough of this sustainable San Francisco label, which manages to ooze French Girl insouciance and effortless Cali-cool at the same time. The year-old Marina boutique is spacious and plant-laden with minimalist décor —an ideal foundation for Amour Vert's wardrobe-making collection. Signature tees in myriad colors (and stripes), pretty dresses in sophisticated prints, breezy silk blouses, and jumpsuits and jeans are all expertly merchandised. Everything is made using non-toxic dyes and sustainable fabrics—and crafted in California (primarily within a few miles of the retailer's San Francisco office). The store also has a fantastic collection of eco-friendly Veja sneakers, including an exclusive style featuring green accents, naturally. 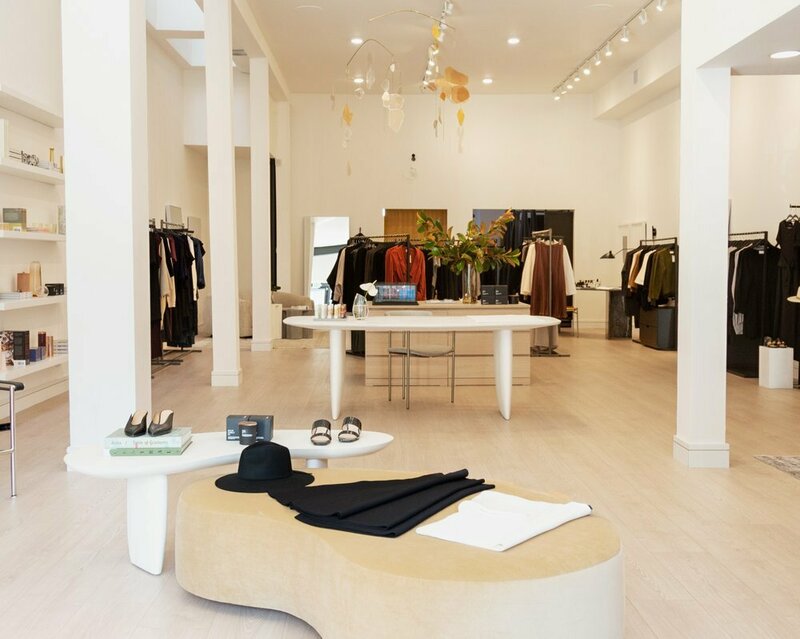 Amour Vert has a second SF boutique located at 437 Hayes St. The Mission flagship of this homegrown (and internationally known) street brand is a favorite spot for scoring cutting-edge hats, tees, outerwear, socks and accessories (dog harness, anyone?) starring Benny Gold's signature paper plane icon and/or Stay Gold slogan. The clean and cool 1,500-square-foot spot is also a great place to chill in a cozy chair while sipping on a really good pour-over coffee in the café situated up front. The space, which also serves as a BG's design studio, is utterly authentic with a palpable DIY work-ethic vibe. This colorful Fillmore Street newbie is a welcome addition to Pacific Heights' prime shopping drag. The brick-and-mortar is instantly recognizable to fans of the digital-first Bay Area brand known for its size-inclusive vintage-inspired dresses, quirky prints and humorous graphic tees. 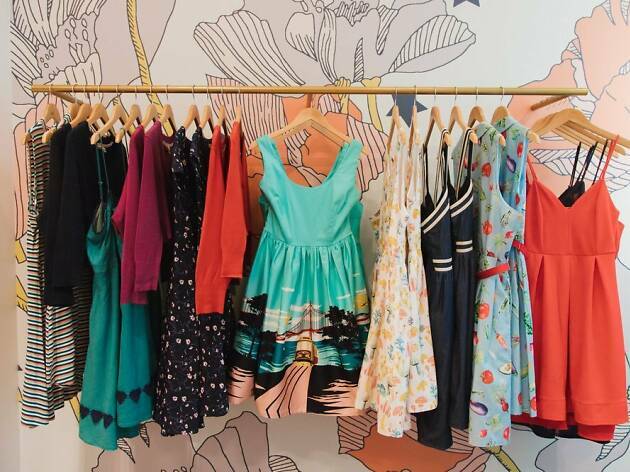 The shop is stuffed with A-line skirts, fit-and-flare frocks and retro blouses. There's an especially fun assortment of candy-colored baubles, too. 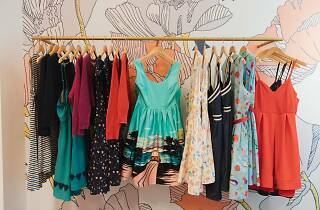 Authentic vintage lovers will be happy to learn that a curated selection of one-of-a-kind treasures inhabits a spot in the back—as does squeal-worthy wallpaper (mod kitties, magic mushrooms, and giant pencils) in the dressing rooms. One last thing to note: the shop functions like a showroom: you order items, which will be shipped (for free) directly to your home.